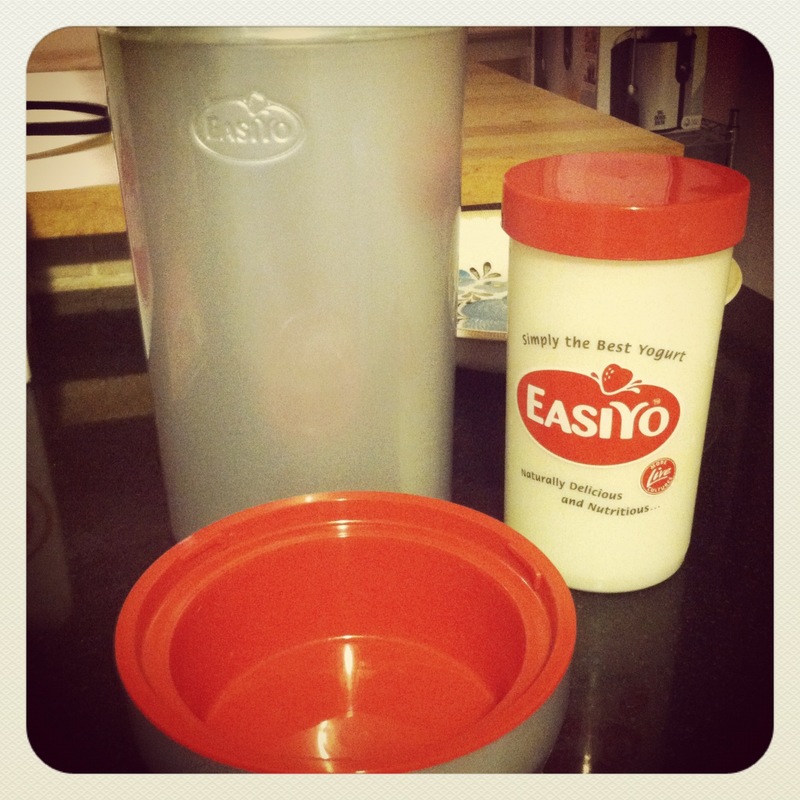 Which brings me to my new yogurt maker, EasiYo! I had never heard of this product until super recently, but that’s probably because it’s a New Zealand thing. I debated getting one for like 24 hours before I pulled the trigger; sincerest apologies Chobani. Many yogurts in the US have pectin or gelatin added – I’ll pass on additives, thanks. I made my first batch last night, and checked it out/tasted it this morning because I couldn’t resist. I went with the low-fat Greek variety because I typically like to add various combinations of things to my yogurt (berries, honey, flax, granola, jam – the list goes on and on…), and because Greek yogurt is the best and most versatile yogurt around! A few additional notes: the yogurt maker itself is inexpensive, and though it might seem like the satchels are pricey, I think you get a lot more yogurt for your money over buying it (not to mention, less packaging!). One more thing – it took about a month to arrive, so plan accordingly. 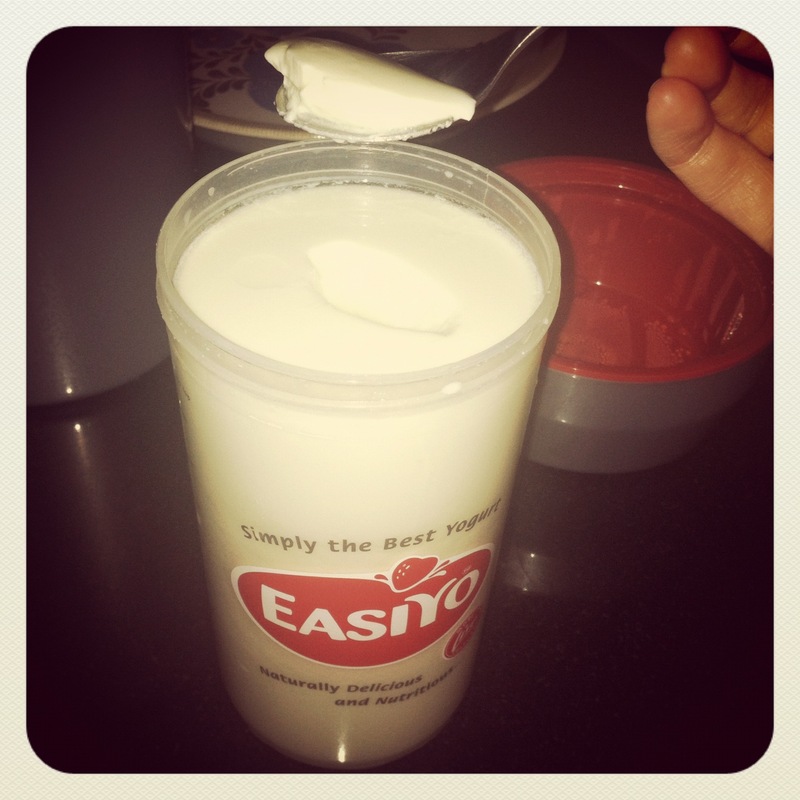 I’m very happy thus far in that it was easy to make, and I love love love the idea of fresher, better for you, yogurt! I went home last night and tested out the homemade yogurt a bit more: I have no complaints aside from the fact that the texture is a bit more like plain yogurt vs. Greek; it’s just not quite as thick/Greek yogurt-y (the roommate concurs). 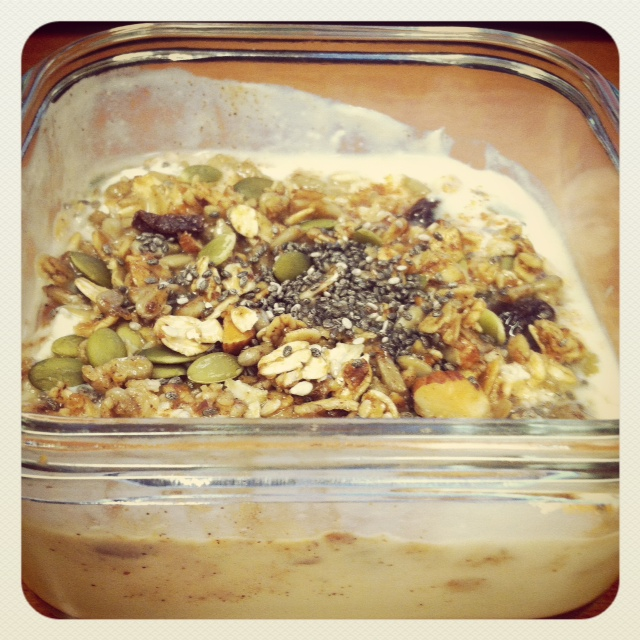 That being said, I’m still psyched I can make yogurt at home and this stuff keeps for up to two weeks in the fridge! Having some right now with a little homemade granola, truvia, cinnamon & chia before I head out for some lunch hour Pilates! What are your favorite foods to make at home? YUM. My favorite make-it-at-home is hummus. So easy, cheap, and delicious. Enjoy the yogurt! Two months later and I’m still yoging! A portion everyday! and just like your pic above, seeds and honey is my top topping! (Just ate my lunch). Hope you still enjoying. Hey there! 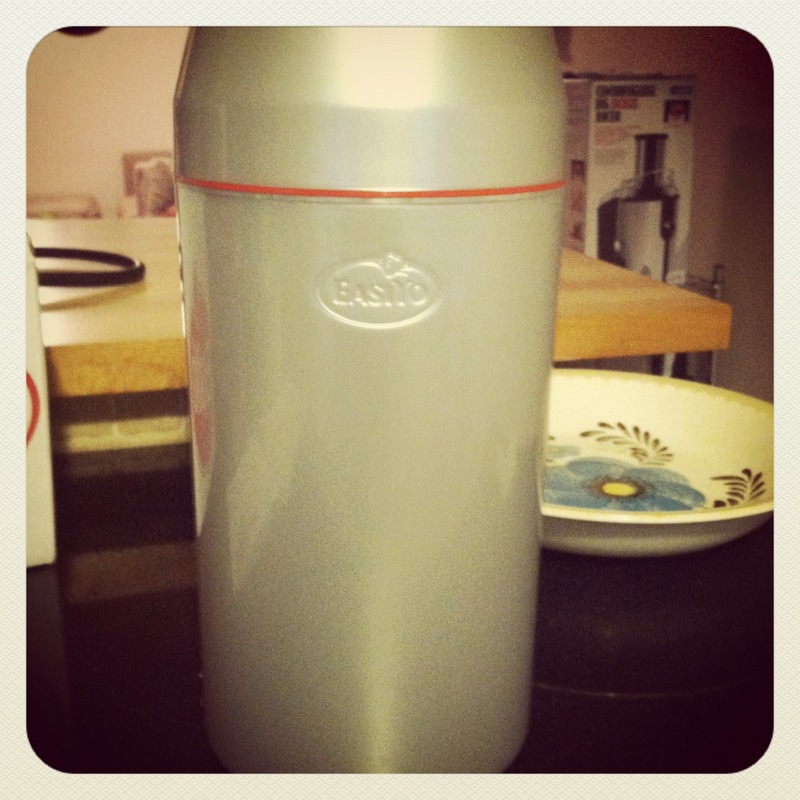 I’m doing great & the yogurt maker is awesome… Glad you’re using yours so often! 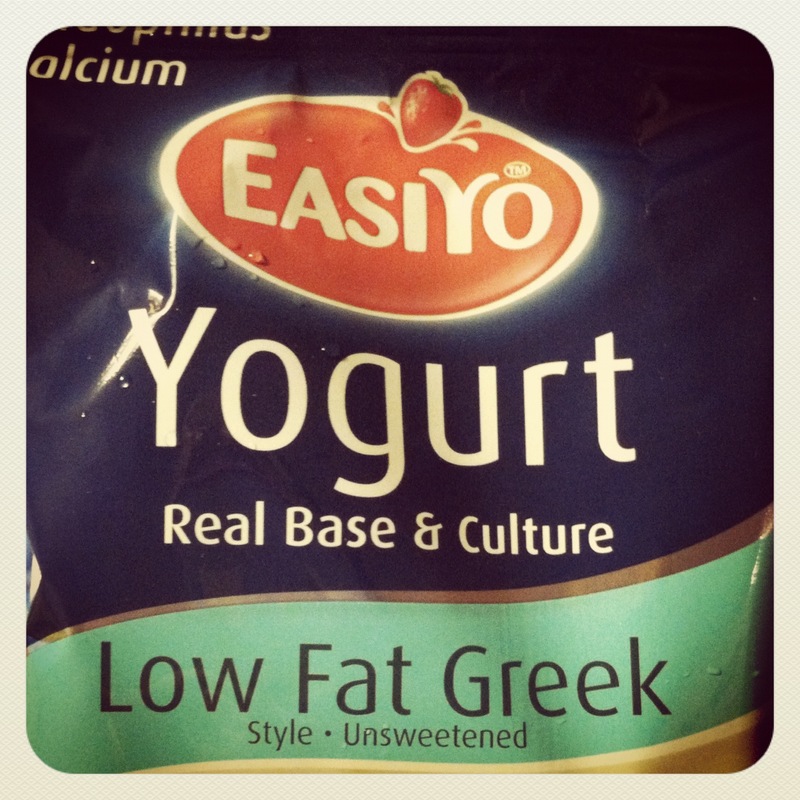 I’ve only tried the plain low-fat Greek; let me know if you have any recommendations!! !